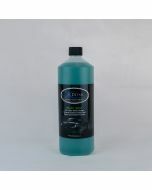 The Auto Finesse Imperial Acid-Free wheel cleaner contains a powerful blend of cleaning agents and degreasers to separate the brake dust and road dirt from the wheels on contact. 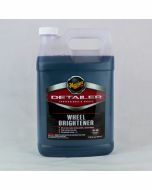 The Auto Finesse Imperial Acid-Free wheel cleaner contains a powerful blend of cleaning agents and degreasers to separate the brake dust and road dirt from the wheels on contact. Its high-foaming formula makes light work of a heavy task, and will take your rims from shameful to sparkling in a matter of minutes. Cleaning your wheels is generally the first job you tackle when detailing a car or bike, so start by taking some time and laying out the tools you will need. 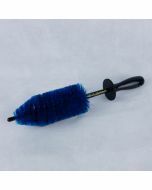 You will need two types of brushes; a dedicated wheel brush for the barrels of the wheels, and a smaller ‘detailing brush’ for the faces and wheel nuts. 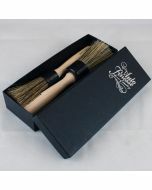 You will also need a separate bucket to rinse out your brushes. Lastly, you will need a Microfiber Drying Towel to dry off the wheels, and of course our Imperial Acid-Free wheel cleaner. Imperial is safe to use on all painted, clearcoated, and powdercoated alloy wheel finishes. Chrome, bare polished aluminium, or anodized finishes should be treated with extreme caution. These types of wheel finishes are most common on aftermarket wheels, and should be cleaned with a mild exterior all-purpose-cleaner like Auto-Finesse Citrus Power. Do not use on bare metal, chrome or polished rims.